Red bean paste or Azuki bean paste is a sweet, dark red bean paste originating from China. It is used in Chinese cuisine, Japanese confectionery, and Korean cuisine. It is prepared by boiling and mashing azuki beans and then sweetening the paste with sugar or honey. The husk of the beans may be removed by sieving before sweetening, which leads to a smoother and more homogeneous paste. Once it’s opened, keep it in the refrigerator. Hi! I just opened a can of red beans and dumped them in the food processor, thinking it would make a paste. I was wrong. It made a very yummy sweet puree and I wondered if you could give me some ideas as to how to put it to use. I would hate to waste it! Thank you! 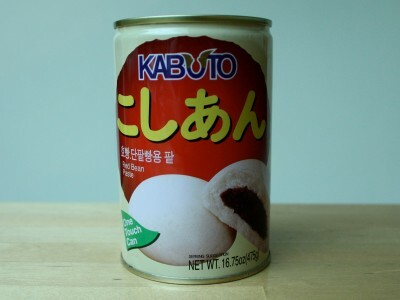 I’m also highly interested how to make the red bean paste. Since in my country there is no such thing, but we have plenty of beans. Hi! I was wondering if you could explain how to make this. In your recipe for the desert you said you would make it but i can’t seem to find a recipe. I tried with one i found on the internet but it never worked.